Bat Ear Correction: All ages seek correction. Frequently requested by patients for young children 5 years of age before going to school fearing they may be teased with short hair being in fasion young people frequently request bat ear correction. Older patients seek this correction as they have spare tine and fashion changes. 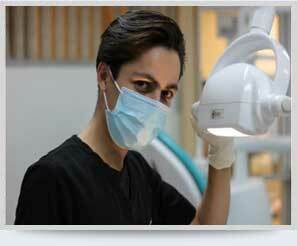 With short hair, the “bald look” being in fashion, bat ear correction in males is now a commonly performed procedure. The prominence of the bat ear is due to three structural abnormalities. Upper pole prominence, due to lack of folding of cartilage to form the normal antihelix – corrected by Chong Chet technique. Overdevelopment of the cartilage of the conchal well reduced by the “flying bird” procedure. Prominent lobe of the ear, reduced by skin excision behind the ear with an advancement flap. Surgery performed under a general anaesthetic, 1½ hour procedure. Day only, incisionalline behind the ear, while one or all of the above problems are corrected. Head bandages worn for one week then removed, hair washed. No bruising or swelling, no sutures to be removed. Procedure covered under Medicare and funds, with a small extra gap payment. Young woman wishes to wear her hair up without embarrassment. Bandages are worn pre-operatively for 10 days, then are removed, with no sutures remaining. Post operative ear now has a completely normal shape and size. Bat Ear due to lack of folding to form a new antihelix and prominant lobule. Post operative front view, normal looking ear. Post operative posterior view, showing incisional line.